Weston Cultural Hub – the issues, Part 1. This is the first of a three-part series on the proposal to build a cultural Hub in Weston. The idea of an artistic community sparking gentrification is an old one, well documented in many cities. The idea is that artists move into a run-down community, attracted by low rents. They enrich the area causing young professionals to move in, attracted by the cool vibe. Demand boosts property values and the area revives and gentrifies. Unfortunately, the artists are then priced out of the area and begin the process elsewhere. Brewing for quite a few years has been the idea of a Cultural Hub that will spark an upturn in Weston’s fortunes. Like many good ideas it has several parents but a few individuals have been key in pushing the ideas along. More on that tomorrow. Artscape is a ‘not for profit urban development organization’. It specializes in partnerships with the City of Toronto and (sometimes) developers to convert vacant or underused properties into cultural hubs. These are places where artists can live in subsidized live / work studios and at the same time, cultural organizations can rent space at a reduced cost. Toronto City Council recently endorsed the plans to have our very own Cultural Hub in Weston. Let’s look at an Artscape project that is seen as a model for Weston. 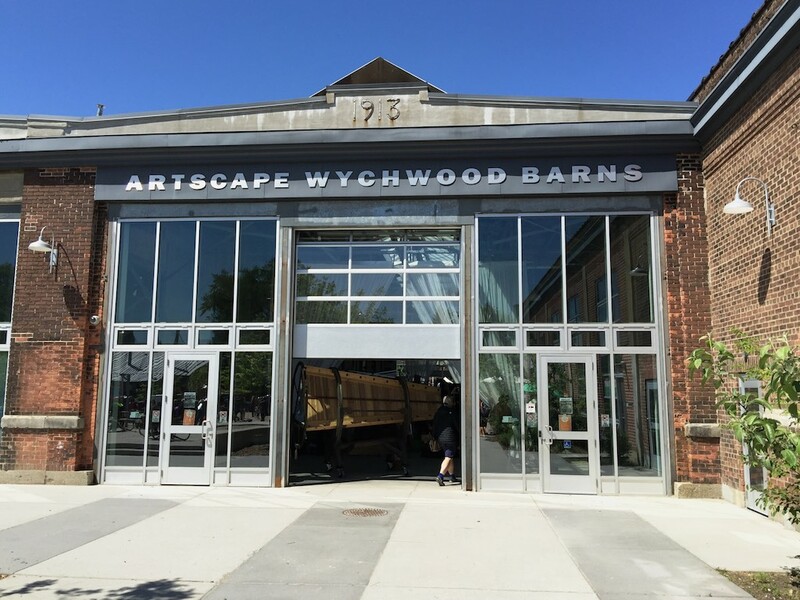 Wychwood Barns is in the affluent Bracondale or Hillcrest community of Toronto. It was built in 1913 as a streetcar maintenance and storage facility. After it was abandoned and sold to the city for one dollar, plans were made for its demolition. Councillor Joe Mihevc initiated the idea of re-purposing this heritage building. 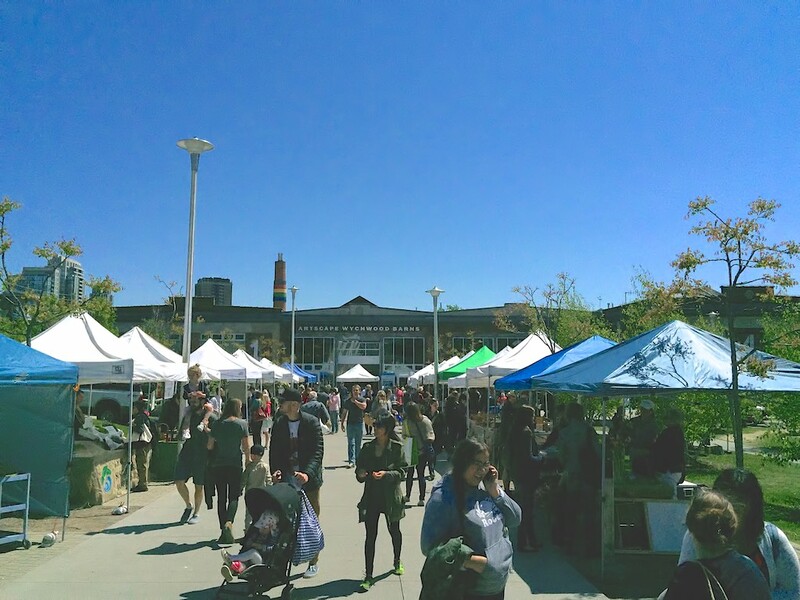 As always with such ideas, the process was long, involved and controversial but eventually with funding of $19 million the new Wychwood Barns Community Centre, including a greenhouse, beach volleyball court, leash free zone for dogs, artists’ housing, offices and green space emerged in 2011. The old Barn building that originally stored street cars. Inside the main building. There is community rental and office space upstairs. 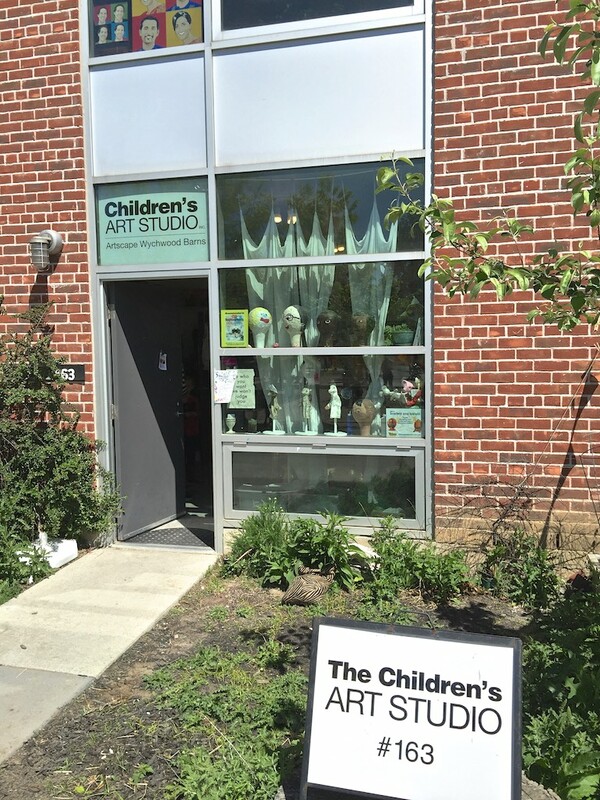 The Children’s Art Studio. One of the community organizations using a subsidized space. There is a well-attended year-round farmers market every Saturday that focuses on organic and sustainable produce. A waiting list of vendors applying to operate there is needed because of demand. Outdoor Farmers Market stalls on Saturday May 23. As mentioned, the project cost $19 million and was funded entirely by Artscape, the Federal Government, the Provincial Government, and the City of Toronto. Not one penny of developer money was needed for the project. The area around Wychwood is quite affluent with many streets of million dollar plus homes and but a single apartment building nearby. 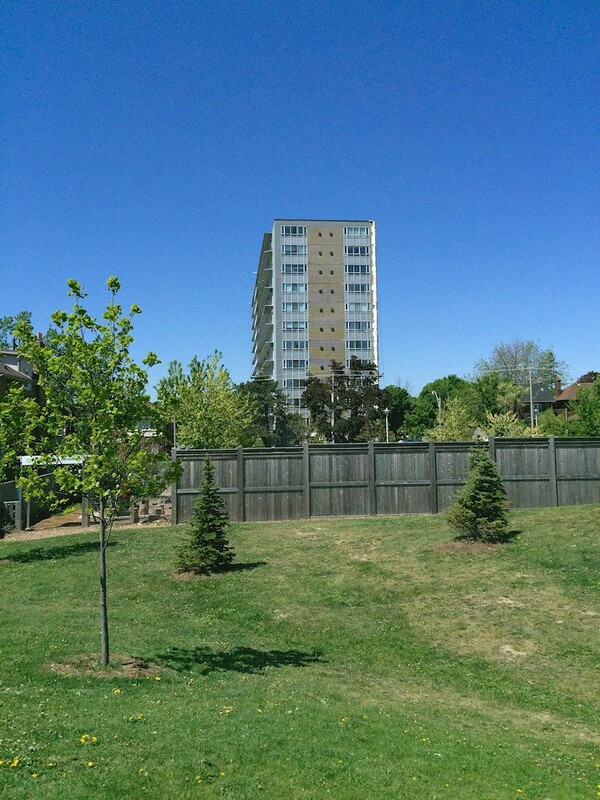 The lone apartment building past Wychwood’s grounds and across the road at 580 Christie. As a co-ownership building, it cannot be converted into condos in order to preserve the rare affordable housing it provides for the area. 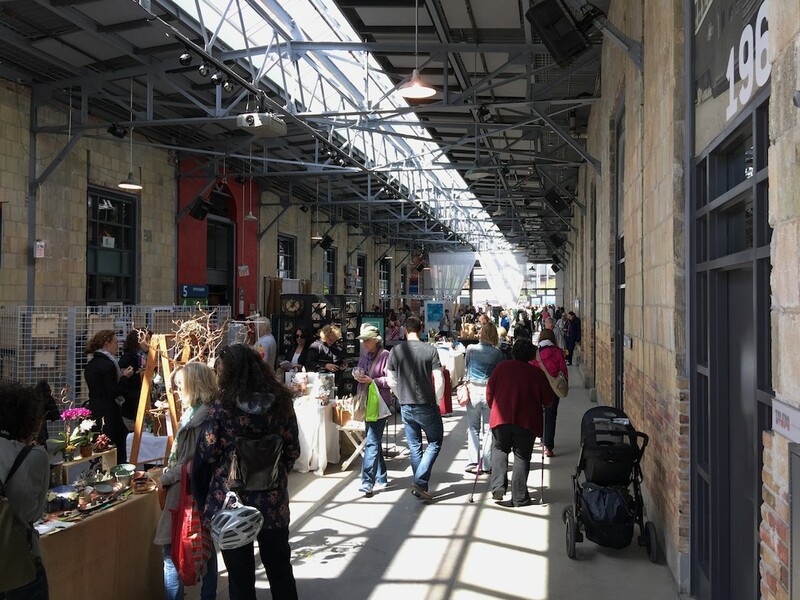 The impression of Wychwood Barns is one of purposeful activity. The place is a magnet for the area and affluence seems to be the order of the day. It is well attended with hordes of upwardly mobile young professionals, many with children in strollers. Outdoor market stalls sell what you might expect but also esoterica such as fancy mushrooms, sheep yogurt and hemp drinks (all organic of course). There is an art gallery, crafts stalls and even a theatre group engaging in loud, enthusiastic rehearsals in the main barn. Could something like this work in Weston? Tomorrow: Artscape’s plans for a Cultural Hub in Weston. Next Next post: Mayor Tory to Speak at WRVA June 2nd.